The Digital Media Executive role is an exciting opportunity to join a young, vibrant and world-renowned company in the field of nutrition and nutrition education. Be part of a unique and developing core team in a fast moving and ever adapting environment where your opinions and thoughts can be heard. 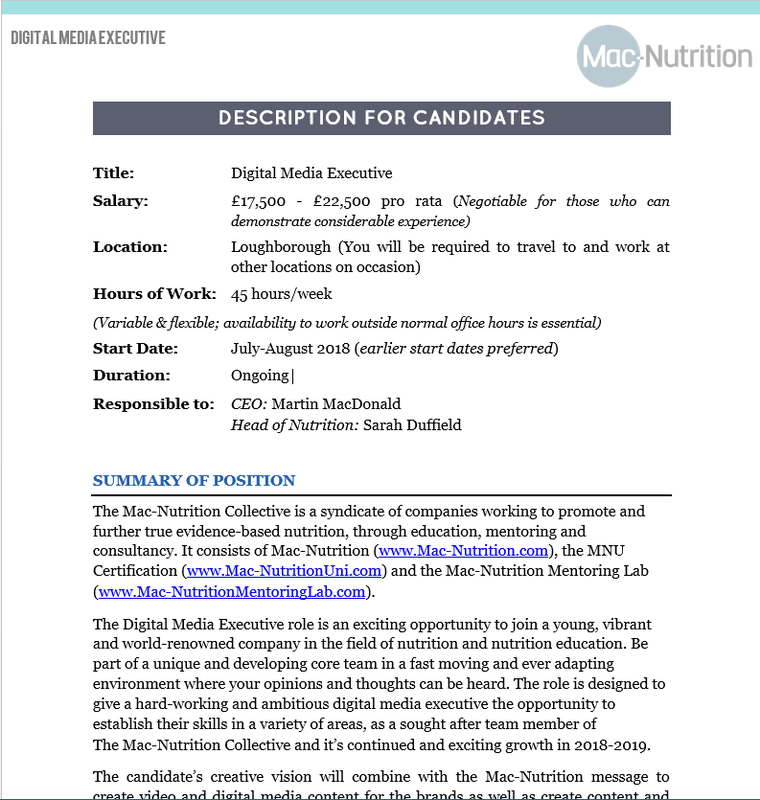 The role is designed to give a hard-working and ambitious digital media executive the opportunity to establish their skills in a variety of areas, as a sought-after team member of The Mac-Nutrition Collective and it’s continued and exciting growth in 2018-2019. 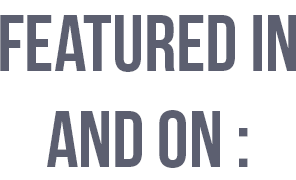 The candidate’s creative vision will combine with the Mac-Nutrition message to create video and digital media content for the brands as well as create content and co-manage Martin MacDonald’s (CEO) personal social media platforms and digital marketing strategy.